It is important that the Austrian Presidency has made the issue of “Subsidiarity in the EU” a priority because it makes this issue, which is hard to understand anyway, the focus of public interest and is accompanied by several events. 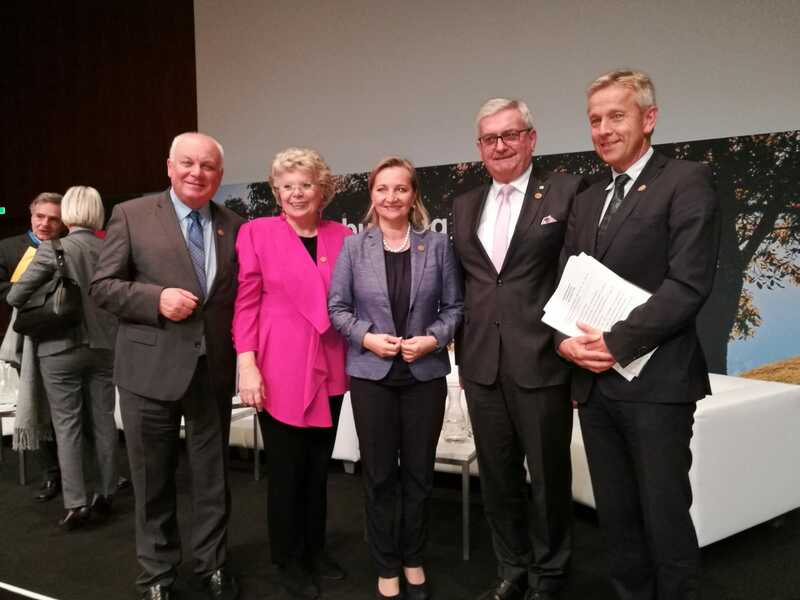 These included the IRE Forum on 30th of September 2018 in Salzburg, said IRE Chairman Franz Schausberger at the Conference of the Austrian Presidency “Subsidiarity as a construction principle of the European Union” in the Festspielhaus Bregenz, 15th until 16th of November 2018.The principle of subsidiarity must be put in the limelight over and over because it is not really taken seriously at the EU level. Whenever the EU is in a ‘bad’ mood, especially shortly before the European elections, the subsidiarity principle is discovered. Since the signing of the Lisbon Treaty in 2009, centralization in Europe has increased. Nationalism has increased and nationalists are always centralists. They want to centralize power at the highest level and not give it down. So it’s a question of pure power and not the question of which level can do the best or whether something should be regulated at all. The hopes of the regions for the Treaty of Lisbon have in no way been fulfilled. From left to right: Franz Schausberger, IRE Chairman, Viviane Reding, former EU Commissioner, Ulrike Rabmer-Koller, Vice-President of the Austrian Federal Economic Chamber, Alfred Riedl, President of the Austrian Association of Municipalities, Reinhold Lopatka, Chairman of the European Committee of the Austrian Parliament and Member of the Task Force “Subsidiarity”. The Austrian Presidency has chosen the future scenario “Less, but more efficient” on the principle of subsidiarity and proportionality. Is it possible to redistribute the responsibilities of the EU and the Member States? Due to the political situation in the EU, this is not possible at present and in the foreseeable future!Therefore a way without contract modification has to be gone. The minimum requirement must hence be: The new Commission must at least include the implementation of the result of the Subsidiarity Task Force in its work program. It needs a clear statement what happens to the results. On the other hand, it is also necessary to specify in which areas the competence of the EU must be strengthened and unanimity should be abolished in these areas. (Migration, External Borders, Security, Defence, Fighting International Crime, Terrorism, Climate Change, Digitalisation, Common Market, etc.). What annoys the people and the small and medium-sized enterprises? Even more and more detailed regulations. The guidelines can really only be frameworks and not always become more detailed and close-knit. No creeping takeover of unclear responsibilities. No “delegated acts” without Member State participation. Rapid implementation of the results of the Task Force on Subsidiarity and Proportionality, with the active participation of the European Parliament. Greater engagement of national and regional parliaments in the subsidiarity review. Subsidiarity must not only apply between the EU and member states, but must also apply within the member states. 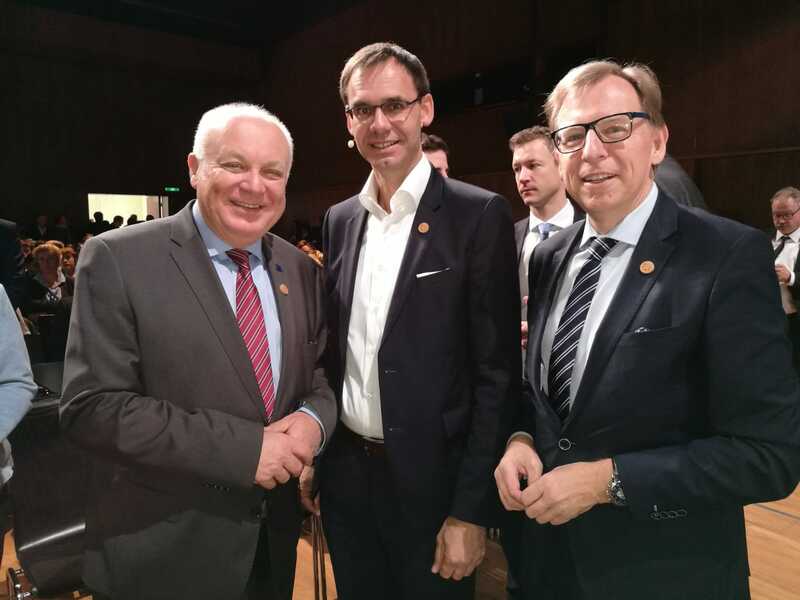 From left to right: Franz Schausberger, IRE Chairman, Markus Wallner, Governor of Vorarlberg, Christian Buchmann, Chairman of the European Committee of the Austrian Federal Council.